A Dungeon Master simulation game created for Search for a Star 2018! 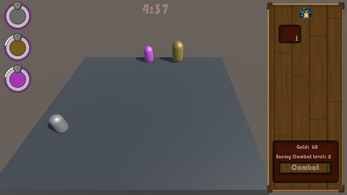 The aim of the game is to finish with the highest possible score. To do this you, the Dungeon Master, must get your players to defeat the dreaded Beholder. As typical of a Dungeons and Dragons game the players will get distracted by anything and everything and will also only join combat if they are bribed with money, gold or good old insults. 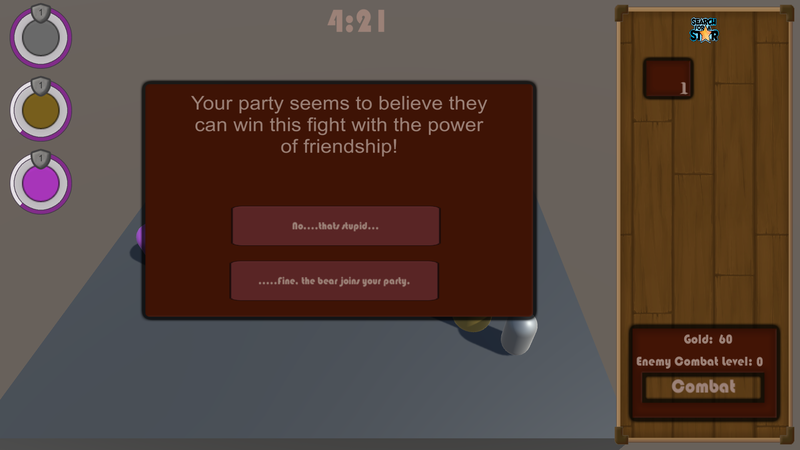 Events will also trigger throughout the game where you get to decide the outcome, these events may increase or lower your party members fun. Keep all your players fun levels high otherwise they will leave the game, if they all leave then its game over! 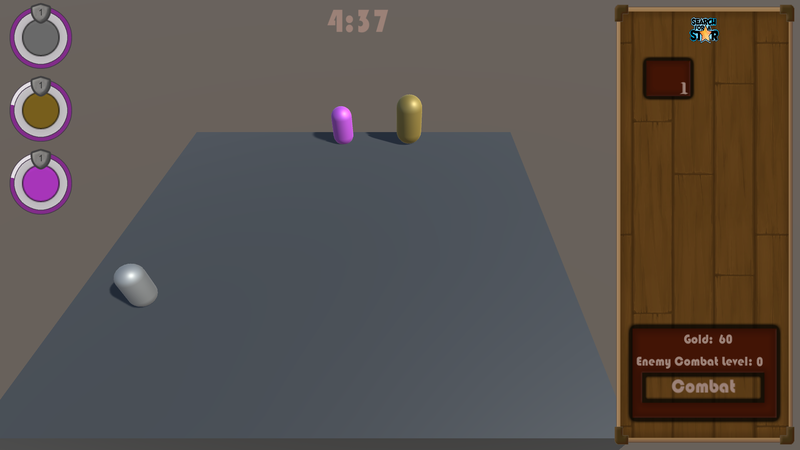 Controls are all on the mouse and are UI based! 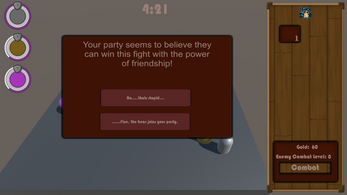 Spawning Enemies - Click a button on the right panel then click a tile to spawn the enemy there. Editing Gold/ XP - Click on an enemy that is spawned in the world, next to where the gold/ XP is displayed press the '+' button to increase. Combat - Combat works by adding the levels of all character or enemies in combat. For example if all players are level 1 and there are 3 in the scene then the combat level will be 3. They will be able to defeat any enemies or group of enemies who have a lower combat total! Barbarian - Motivated by taunting, he will get angrier the more you taunt him which will trigger him to go into combat. Thief - Motivated by gold! Increase the reward gold to convince the thief to go into combat. Wizard - Motivated by XP! Increase the reward XP to convince the wizard to go into combat. All players can be tempted into combat with the other rewards, such as XP / Gold increase or taunting!